Note if you want to live thousands of years . Tell your body to regenerate its bone marrow, while asking your teleomeres to elongate, your thymus gland to produce more ormus, and your stem cells to open up a worm hole in time to the young age of your choice and download that hologram over your etheric DNA to regenerate new healthy DNA, teleomeres and cells. DO this everyday along with your standard NEO meditation and that is the secret to long life. No need to restrict your calories or mutate your genes you already have everything you need to live thousands of years. There is now a way to extend the lifespan of organisms so that humans could conceivably live to be 800 years old. In an amazing development, scientists at the University of Southern California have announced that they’ve extended the lifespan of yeast bacteria tenfold — and the recipe they used to do it might easily translate into humans. It involves tinkering with two genes, and cutting down your calorie intake. Tests have already started on people in Ecuador. Researchers have created baker’s yeast capable of living to 800 in yeast years without apparent side effects. 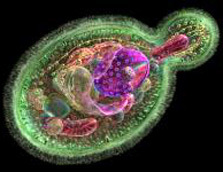 The basic but important discovery, achieved through a combination of dietary and genetic changes, brings scientists closer to controlling the survival and health of the unit of all living systems: the cell. “We’re setting the foundation for reprogramming healthy life,” says study leader Valter Longo of the University of Southern California. Longo’s group put baker’s yeast on a calorie-restricted diet and knocked out two genes – RAS2 and SCH9 – that promote aging in yeast and cancer in humans. “We got a 10-fold life span extension that is, I think, the longest one that has ever been achieved in any organism,” Longo says. Normal yeast organisms live about a week. “I would say 10-fold is pretty significant,” says Anna McCormick, chief of the genetics and cell biology branch at the National Institute on Aging (NIA) and Longo’s program officer. The NIA funds such research in the hope of extending healthy life span in humans through the development of drugs that mimic the life-prolonging techniques used by Longo and others, McCormick adds. Baker’s yeast is one of the most studied and best understood organisms at the molecular and genetic level. Remarkably, in light of its simplicity, yeast has led to the discovery of some of the most important genes and pathways regulating aging and disease in mice and other mammals. Longo’s group next plans to further investigate life span extension in mice. The group is already studying a human population in Ecuador with mutations analogous to those described in yeast. Longo cautions that, as in the Ecuador case, longevity mutations tend to come with severe growth deficits and other health problems. Finding drugs to extend the human life span without side effects will not be easy. I’ve always been a skeptic when it comes to life-extending research, but this has me rethinking my position.